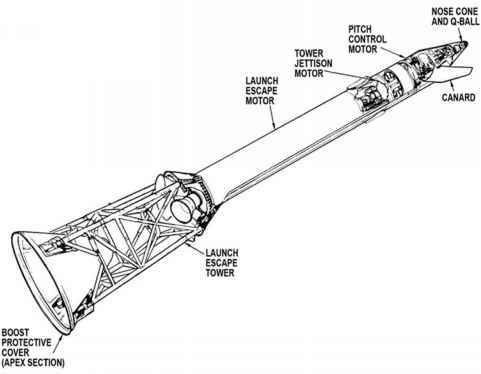 Once NASA had accepted LOR as the Apollo mission mode, they had to work out how rendezvous, whether in Earth or in lunar orbit, should be accomplished. The problem is far from straightforward, and the solution did not spring forth from the mind of some brilliant engineer. Rather, it evolved from 1964 right through to the first landing and continued to evolve throughout the programme. The problems were many. Some of the major factors with which they had to contend were: how accurately would the engines perform? ; how would a crewman know his speed and the speed of the target spacecraft? ; what should the lighting be during the delicate docking manoeuvre? ; what is the least amount of propellant required in the pursuing spacecraft? ; how high should the target spacecraft be orbiting; and how long should a rendezvous take? NASA first considered a direct ascent technique, but quickly dropped it. For the Gemini programme, the step-by-step approach of the coelliptic rendezvous was developed. Experience gained from that highly successful two-man spacecraft led to its refinement and adoption for Apollo rendezvous. During Apollo, as crews and engineers worked to stretch the system's capability, they devised the confusingly named direct rendezvous or short rendezvous as a way to gain more performance from the system.